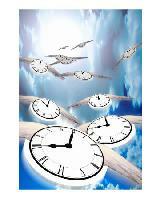 Our subjective experience of how fast time is passing depends on the situation we are in. Waiting for a pot to boil while you watch it can feel like a frustratingly long time, and watching a clock as it ticks down the last minutes of a long meeting or class can be excruciating. (In fact, studies consistently show that we perceive a watched clock to slow down or stop briefly when we first look at it, an effect known as chronostasis). On the other hand, when immersed in enjoyable activities, we often lose track of time and are surprised to find out just how much time has really passed while we were so engaged. Time flies when you’re having fun, as the expression goes. The effect we’re all so familiar with also makes some intuitive sense. When you are in a state of flow, deeply focused on something, your attention is fully devoted to that activity so there is no chance for your mind to wander. If you’re in the middle of a fun game, you are simply too engaged to bother shifting your attention to a clock. When you finally do shift your awareness to a more objective measure of how much time has passed, there’s a sense of surprise. Boredom might be thought of as the antithesis of flow, so it makes sense that those who are most prone to boredom make more mistakes at estimating how much time has passed. So fun activities make time fly, and boredom makes time slow down. But does the effect work in the other direction? 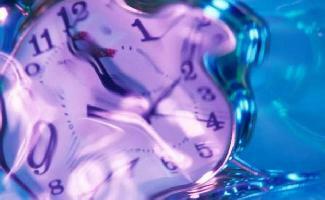 If time flies, does it make you perceive an activity as more fun? A series of experiments published in early 2010 by A. Sackett and colleagues demonstrates just that. In one of the experiments, the researchers put participants in a clock-less room and told them they had 10 minutes to do a word search task. However, the task was actually stopped after either 5 minutes had actually passed or 20 minutes had actually passed (pretending it had been 10). Those who only worked for 5 minutes, thinking they had been working for 10 and thus feeling that time had flown by, perceived the word search task as being more enjoyable than those for whom time seemed to crawl. Likewise, in another experiment, the researchers either told a participant that the task would last 5 minutes or told them it would last 20 minutes, then in both cases the task was stopped after 10 minutes. So everyone worked for 10 minutes, but some people thought they’d only been working for 5 (“those 5 minutes sure seemed to drag,” they might say), whereas others thought they had been at it for 20 minutes. Sure enough, those who thought they’d been working for 20 minutes considered the task more fun than those who had worked the same amount of time (10 minutes) but thought it was only 5 minutes. It appears that thinking time had flown by made the activity feel more enjoyable. In that sense, you’re having fun when time flies on top of time flying when you’re having fun. The other experiments and controls that Sackett and colleagues performed are described by Ed Yong at Not Exactly Rocket Science. Logically, the conclusion does not always follow from those first two premises even though they are true. After all, time might fly for a multitude of reasons aside from having fun, and thus if we perceive that time flies by, we don’t automatically know for which reason it seemed to fly by. As with many logical errors, making people aware of the error may eventually mitigate it. And sure enough, Sackett points out that those who are aware of the reasons why time appears to fly by are less likely to experience this illusion, and in turn may not find those quick-feeling activities as pleasant as someone ignorant of the effect. This entry was posted in Uncategorized and tagged awareness, cognition, science. Bookmark the permalink. One Response to If time flies, did you have more fun?